The Metal Insets are a series of shapes and frames designed to directly prepare the child's hand for writing. I very much enjoy this activity in the classroom and appreciate the writing skills it helps develop specifically lightness of touch and keeping the pencil within limits. As with other Montessori materials, a sequential order of further lessons are introduced to the child as each presentation is mastered. This is where the little booklet I recently made comes in handy because I always forget the order! The booklet, which displays the order of lessons for the Metal Insets, will be housed in a special location in the classroom. ...and here it is in its new home in our classroom. Now, I have a handy reminder of the order of presentations while the children have an interesting booklet to leaf through! Thank you for sharing your great ideas. I am learning so much from you! Thank you very much, Magda! 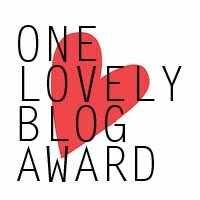 I am touched that you have selected my blog for the One Lovely Blog Award. Your kind words are very meaningful to me! Ewa, The highest compliment for me is to have someone say they wish their child was in my school - Thank you so very much...I am honored! I'm sad to admit I totally forgot about the order for presentation. I just ordered metal insets so this is great. Thanks for the reminder! What a great idea to keep close for refreshing and you are right, I imagine your students will enjoy looking through it as well. The booklet also almost serves as a control for what the work done correctly should look like. 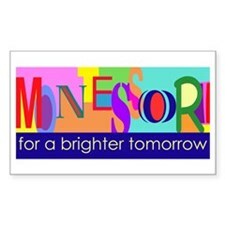 I also love this and needed the inspiration! I'm glad you found it useful! Thanks for reading.